Proper cleansing of the digestive tract allows for better elimination of waste and improved absorption of nutrients from the food you eat. Dieter's Cleanse is a safe, simple, convenient cleansing program. Product elements provide dietary fiber, support the production of digestive enzymes and bile, nourish the liver and glandular system, promote detoxification and support the body's weight-management mechanisms. 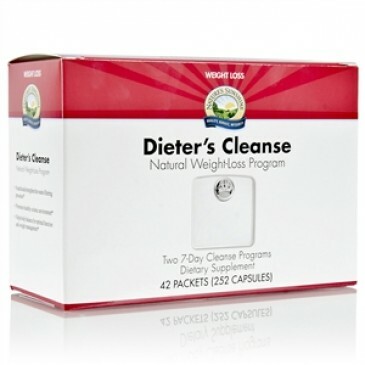 Kick off your weight-loss program by using Dieter's Cleanse for one week. Each box of Dieter's Cleanse contains 14 AM packets, 14 NOON packets and 14 PM packets. 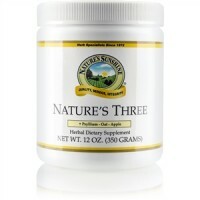 The following NSP products are elements of Dieter's Cleanse: Bowel Detox (2 capsules in AM and NOON packets), Master Gland (2 capsules in AM and NOON packets), Enviro-Detox (1 capsule in AM and NOON packets), Liver Cleanse Formula (1 capsule in AM and NOON packets), LBS II (3 capsules in PM packet), SF (2 capsules in PM packet) and Chromium (1 capsule in PM packet). Take 1 AM packet with breakfast. Take 1 NOON packet with lunch. Take 1 PM packet with dinner. Then begin your weight-management program. The second-week supply of Dieter's Cleanse can be used during recommended rest periods of other NSP weight-loss programs. 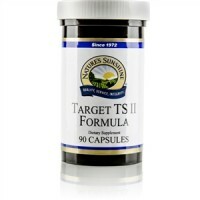 This product may also be used by any adult desiring a two-week cleanse. This product could produce bowel movements during the night or in the morning.